situated directly above the crossed bones. adornments privately made for wear with their civilian clothes. Death's head on our helmets. devised its own unique pattern of grinning death's head, with lower jaw, which it wore thereafter. trumpet banners and the SS and Police Guerrilla Warfare Badge. an instant status symbol in the Third Reich, and a inspiration to those who were granted the privilege of wearing it. 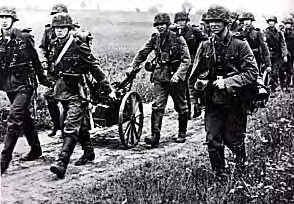 Luftwaffe's Schleppgruppe 4 and KampfgruPPC 5 during World War II. the ideas in pagan symbolism and adopt, or adapt, certain runes for use by his SS. The SS descending from the Stosstrupp adopted the Prussian style jawless Totenkopf for headgear until 1934. In that year the armys new panzer units also adopted the Prussian style. Thereupon the SS developed its own grinning version until the end in 1945. It should also be noted that the Prussian style was used by the armys 5th cavalry regiment, and the Brunswick version by the 17th infantry regiment. 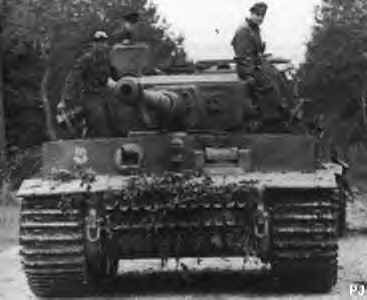 Hitler created the 3rd SS Panzer Division Totenkopf just after the 1939 invasion of Poland. Totenkopf became a brutal, if courageous, division, fighting recklessly and consistently suffering heavy casualties. 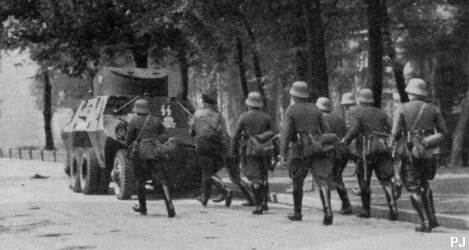 Being one of the first Waffen-SS divisions, the troops of Totenkopf perhaps felt they had something to prove to the regular German Army who looked down on the unit as a bunch of unsavory, fanatical troops. Totenkopf participated in the invasion of France, Yugoslavia and the Soviet Union. *This website in no way condones the atrocities committed by the Nazi party and is in no way associated with any hate group that is. This website offers nothing for sale. This website was created as a part to WWIIonline the game.